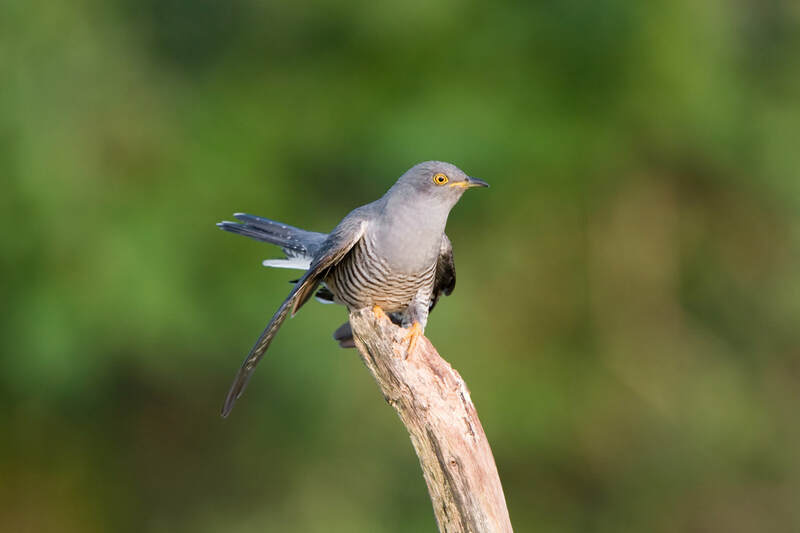 As part of an on-going study to find out why our Cuckoos are disappearing – we have lost almost three-quarters of our Cuckoo population during the last 25 years – the British Trust for Ornithology (BTO) has fitted 10 Cuckoos with tiny satellite tags, in a bid to follow them back to their wintering grounds in central Africa. The study has already identified important migration routes via stopover sites in northern Italy and southern Spain, and the precise wintering locations in the Congo rainforest. Mortality of Cuckoos taking the route via Spain has been linked to population decline within the UK, but what scientists at the BTO would like to know now is how successful our Cuckoos are at making it to and from Africa in different summers, and, specifically how relatively important are conditions here in the UK and southern Europe in contributing to a successful crossing of the mighty Sahara? The first of these birds could leave any day now. The birds have been given names; these are Sherwood, Robinson, Knepp, Raymond, Lambert, Carlton II, Sylvester, Thomas, Cameron and Bowie. The birds were tagged at sites in Suffolk, Sherwood Forest, Thetford Forest, the Knepp Estate in Sussex and the New Forest.